Britain's biggest retailer is trialling a checkout-free method of payment for its convenience stores, to rival Amazon's Go service available in the US. If successful, the trial could be rolled out to stores across the UK in the near future - provided the obvious security challenges can be overcome. 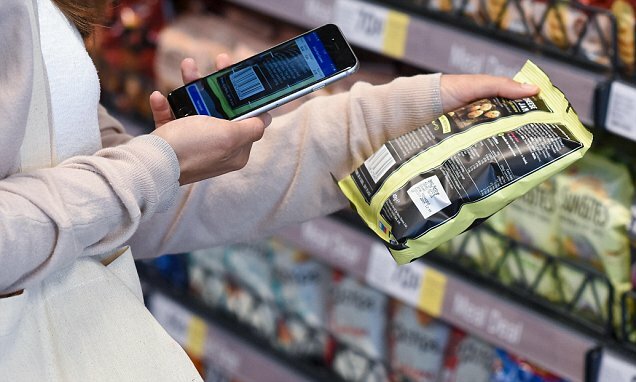 'Using your mobile device you select some products, put them into your basket on your device and then just walk out of the store,' Steven Blair, Tesco's convenience transformation director told reporters. 'The feedback is very good on it but it's super early. 'If the margin in the business is two or three per cent, you don't have to lose much to make it unprofitable,' he said.